"Two days ago Ayatollah Ali Khamenei, the leader of Iran, said he intends to destroy Israel. Yesterday, he explained how he wants to do it — with unlimited uranium enrichment to create a nuclear arsenal," Israeli Prime Minister Benjamin Netanyahu stated. 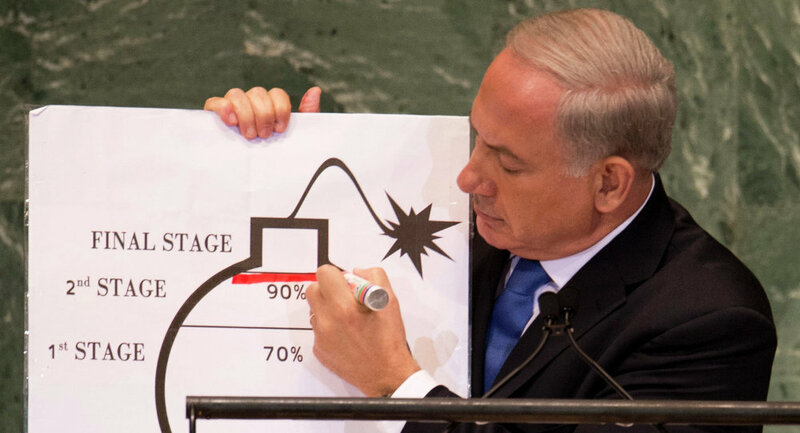 The Israeli top official noted that Tel Aviv wouldn't let "Iran to obtain nuclear weapons." The comment followed the announcement by Behrouz Kamalvandi, the spokesman for Iran's nuclear agency, saying that Iran had informed the UN nuclear watchdog about its works aimed to increase the country's nuclear enrichment capacity within the limits set by the Joint Comprehensive Plan of Action (JCPOA). Earlier on Tuesday, Iran's atomic energy chief Ali Akbar Salehi specified that Tehran had developed infrastructure to produce electricity at the country's Natanz facility, adding that the country had notified the UN that it will install centrifuges for the uranium enrichment there. The situation around the JCPOA, also known as the Iran nuclear deal, has been quite tense within the last month after the May 8 announcement by US President Donald Trump, saying Washington would withdraw from the agreement. In addition, Trump decided to reinstate the previously lifted sanctions on Iran. The unilateral move has been opposed by other signatories. The deal was signed in 2015 by Iran, the European Union and the P5+1 group of countries — China, Germany, France, Russia, the United Kingdom and the United States. The deal stipulated the gradual lifting of the anti-Iranian sanctions in exchange for Tehran maintaining the peaceful nature of its nuclear program.